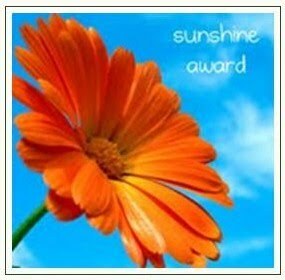 Thank you to hurdlestohappiness.wordpress.com for your kind nomination for the Sunshine Blog Award! Dan’s goal to ‘Help Viewers Overcome Daily Obstacles and Ultimately Achieve Happiness” will make you happy as well! His photographs of Spain make me happy as well! 3. Nominate bloggers for the award. 1. Misifusa is a common cat name in Spain. 3. My Passion: To SEND OUT LOVE through my SendOutCards business everyday and to inspire others to enjoy their lives today! 4. Favorite Time of Year: I love every season so I don’t think I can choose one! They are all my favorites! 5. Favorite Vacation: Every time I return to Spain! 7. What puts a Smile on My Face: I love to imagine how good someone feels when they open a card from me or someone else! 1. sharechair.wordpress.com Got an iPad, iPhone, eReader? Need some help with technology? Want an enthusiastic friend to teach you? Well, here you have her! Please enjoy a few lessons which will definitely teach you something new in a fun way! Thanks for making learning fun! 2. cauldronsandcupcakes.com Nicole’s got a way about her in which she makes cooking fun, sprinkles in some readings (along with delish cupcakes which are guilt free) and just finished a 30 day gratitude challenge…an interesting and wonderful mix of fairies, food, healing and energy work! You’ll enjoy every part of her blog! 3. lesleycarter.wordpress.com Bucket List Publications brings you a world filled with adventure, food, travel and fun! Perfectly named, keep this blog on your follow list so you can get ideas for your own Bucket List! Big or small adventures brighten your day! 4. peacewithmylife.com Karel brings comfort out of chaos ~ and don’t miss her photos! Join her in her journey through the chaos of life into peace! She will make your life happier! Congratulations to everyone for your Sunshine Blog nomination! You all deserve it!